The Jericoacoara Off Road Adventure along the coast from Fortaleza is unmissable. This is truly an incredible trip and an experience you will take with you for the rest of your life! 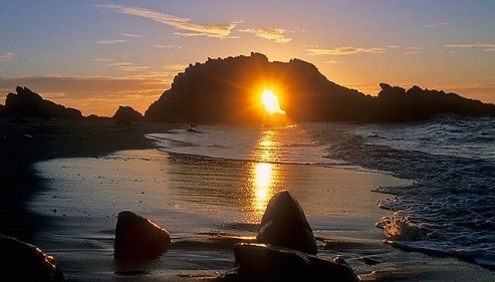 Rated amongst the top ten most beautiful beaches on the planet by both the Washington Post and the New York Times. The coast line leading from Fortaleza to Jericoacoara is no less magnificent than Jericoacoara itself. 300 kilometers, almost 200 miles of turquoise ocean beaches bordering on Sahara like sand dunes. 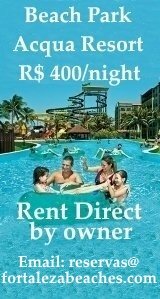 Transfer from Fortaleza Hotels to Jericoacoara R$ 75,00 or Day Trip R$ 150,00 ! Jericoacoara and the surrounding region retains its natural beauty because it is still only accessible by 4 wheel drive. Which eliminates access by the weekend warrior. Who comes too often and stays just long enough to ruin just about anywhere. 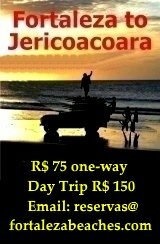 The Jericoacoara Off Road Trek along the coast is the most popular in the state of Ceara. Do able in less than 8 hours by Toyota Pickup with time for a stop for lunch and a swim along the way. Arriving in Jericoacoara you find yourself in an incredible setting! The village sits alongside a huge white sand dune. Where everyone goes to view the sunset. Don't leave your camera behind for this one! The perfect place to get some well deserved rest and relaxation. 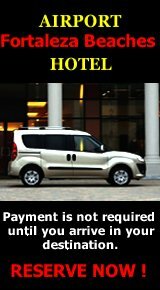 Great hotels, restaurants, bars and clubs! Depart according to the tide chart (as early as possible) and start our excursion along the beaches of Pecém (approx 50 km from Fortaleza), Taíba, Paracuru, Lagoinha, Guajiru and Flexeiras where we stop for lunch. After a short break we introduce you to the pretty little fishing village of Mundau. In Mundau we cross the river by raft and continue along the beaches of Baleia, Caetano, and Icarai de Amontada, where we cross the River Aracatiacu. From here we drive through the village of Almofala, and the church, which remained buried by the sand dunes for 100 years. Continuing by road to the town of Acarau, then to the fishing village at Preá Beach, and our final destination the Sunset Dune Jericoacoara. Depart according to the tide chart (as early as possible) and start our excursion along the beaches of Pecém (approx 50 km from Fortaleza), Taíba, Paracuru, Lagoinha, Guajiru, Flexeiras, Cauípe. After a short break and stop for lunch we introduce you to the pretty little fishing village of Mundau. In Mundau we cross over the dunes and the river by raft continuing along the beaches of Baleia, Caetano, and Icaraí de Amontada. From here we continue on to the village of Almofala, passing by its church, which remained buried by the sand dunes for 100 years. By paved road to the town of Acaraú, the fishing village of Preá, and our final destination Jericoacoara. Depart according to the tide chart (as early as possible) driving along the beaches of Mangue Seco, Guriú, where we get to know the famous village of Tatajuba and its lagoon. where we stop for lunch. After a short rest we return to Jericoacoara for the magnificent sunset. Day 3- Depart Jericoacoara 9:00 AM for Lagoas Do Paraiso. Stopping for a swim in the Crystal Clear Water before making our way back to Fortaleza. Estimated time of arrival back in Jericoacoara approximately 4:00 PM. Take along any medication that has been prescribed to you. large bills in isolated places. 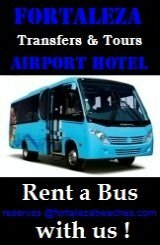 Alway cooperate with the driver/guide. Off Road Treks along the Coast of Ceara!